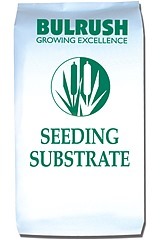 Our unique screening system gives high quality consistent, seeding mix that is ideal for trays and module plugs. A blend of fine peats allow for easy filling of all sizes of plug trays. We also offer a range of specialist fertilizers for specific crop requirements. Fertiliser levels can be adjusted to suit specific growing requirements. This mix is available as 100% peat.